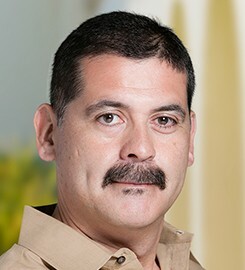 Martínez received his BA, MA, and PhD from the University of California at Berkeley. Cid Martinez is author of the book The Neighborhood Has Its Own Rules: Latinos and African Americans in South Los Angeles, published by New York University Press. The book moves beyond traditional black and white paradigms of urban poverty and violence and introduces a new conceptual framework for understanding how Latinos have transformed the black ghetto. Based on in-depth ethnography, Martinez introduces the concept of alternative governance to understand how the coexistence of black and brown urban poverty in South Los Angeles shapes how residents respond to some of the most violent neighborhoods in America. The book illustrates how interracial relations between Latinos and blacks, policing, religion, gangs and local municipal government shape the way violence is managed. His newest book manuscript, tentatively entitled Cops and Clergy: Legitimacy, Trust and Violence Reduction, builds on previous research by exploring how perceived legitimacy of local clergy can be leveraged by law enforcement to reduce violence. It draws on more than two years of ethnographic field data with a Northern California community policing program, which operates as a partnership between members of the police department’s gang unit and local clergy. The program is designed to increase trust between police and residents in mostly poor black and Latino neighborhoods. Dr. Martinez’s current research is an ethnographic study that examines the relationship between urban poverty, policing and gun violence in California. Dr. Martinez has evaluated community policing programs, in Northern California and Southern California, with a focus on gang intervention, violence reduction and trust building. Martínez's research focuses on urban politics, policing, gun violence, criminology, religion, immigration, social theory, and interracial relations, with an emphasis on Latinos and African Americans. Martínez teaches courses in Criminology, Juvenile Delinquency, Deviance, Social Theory, and Urban Sociology. Submit changes to Cid Martinez's profile.